Worcester Warriors fly-half Joe Carlisle will join Wasps at the end of the season. 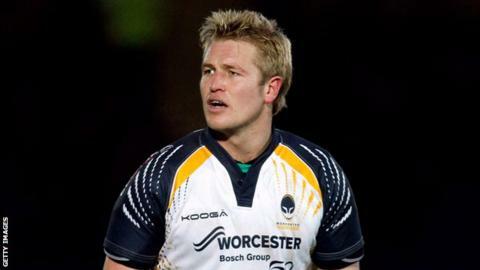 The 25-year-old has scored 477 points in 90 appearances for Worcester after coming though their academy and making his debut in 2007. Wasps director of rugby Dai Young said: "I have been impressed with Joe over the last few seasons. "His aim moving here is really to reignite his career and I believe we can help him to do that." He added: "He's a young English player I believe with a lot of potential. "He has an excellent kicking game and he attacks the line very well and has the ability to really get a backline moving. "He's comfortable in the centre and at full-back as well as at number 10." Carlisle is the second Warriors player to have agreed an end-of-season switch to Wasps, following the lead of once-capped England prop Matt Mullan, while Andy Goode has also been linked with the same move.